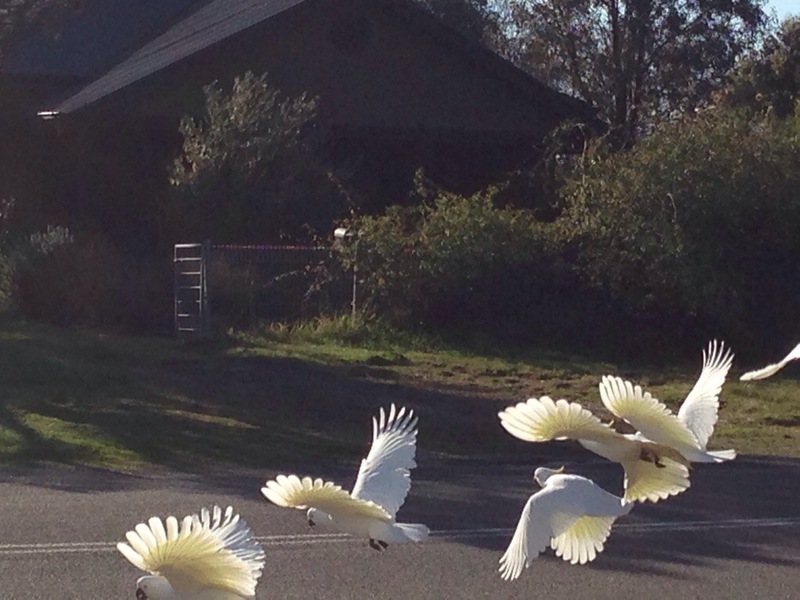 As I drove in to my driveway the other day, I saw all these Cockatoos busy gardening in our front garden. I wanted to capture their flight on camera, so I got out of the car very quietly, well as quietly as I could, got my camera (aka my phone) ready and started walking towards them. As soon as I was too close for comfort, all of them took off. I love the way the picture turned out. 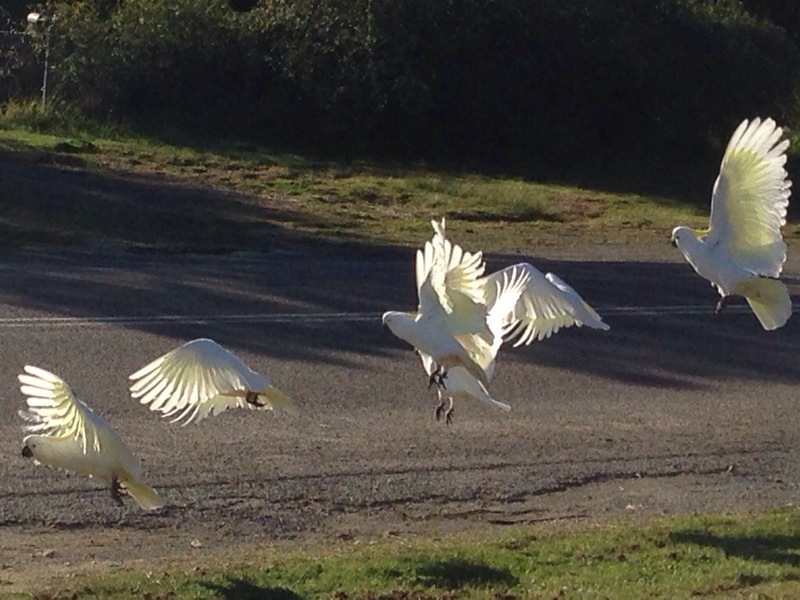 Different stages of flight for all of them. These images are gorgeous – will we see them in another media soon?! Thanks Camilla. I am sure I will be painting them soon. Maybe not this one in particular but have something else in mind. Lovely picture! Captured nature at its best.